According to a new study when a person receives antibiotic treatments early in the life, it will help in improving susceptibility towards certain diseases later in life. This study was conducted by University of British Columbia. Kelly McNagny is the lead of this study. He is a professor in the Dept. of Medical Genetics. Kelly led this study along with Brett Finlay, who is a microbiologist from University of British Columbia. This study is published in Journal of Allergy and Clinical Immunology. This study aims in helping the scientists in understanding how bacteria that actually plays a positive role in promoting healthy immune system is affected by different antibiotics. Actually, most of the bacteria that are present in our gut play a positive role in promoting our healthy immune system. 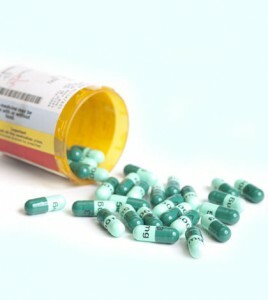 But, when treated with antibiotics, these antibiotics do not discriminate between bad bacteria and good bacteria. This study helps the scientist to understand how good bacteria are affected by different antibiotics. Kelly McNagny said that their study is an initial step towards understanding which bacteria is definitely required for us for developing healthy immune system later on in life. Two antibiotics vancomycin and streptomycin were tested by researchers of this study on newborn mice. Results showed that susceptibility towards a particular disease known as hypersensitivity pneumonitis was improved in later life with the antibiotic streptomycin, but whereas vancomycin did not show any effect. The difference in long-term effects on each antibiotic can be attributed to how the gut’s bacterial ecosystem is changed. Hypersensitivity pneumonitis is an allergy, which is generally found in people who are indulged in making of sausage, farming, and hot tub cleaning. Researchers of this study stress in antibiotics treatment for infant when it is required, but they hope that these results will help in pinpointing which bacteria help in making us less susceptible to disease. This can result in opening up the possibility of boosting the bacteria that actually helps in improving healthy immune system with Probiotics. Kelly McNagny said that the next big trend in parenting could be Probiotics as once the bacteria that prevents disease is known, we can make sure that our children inoculate with those helpful bacteria.